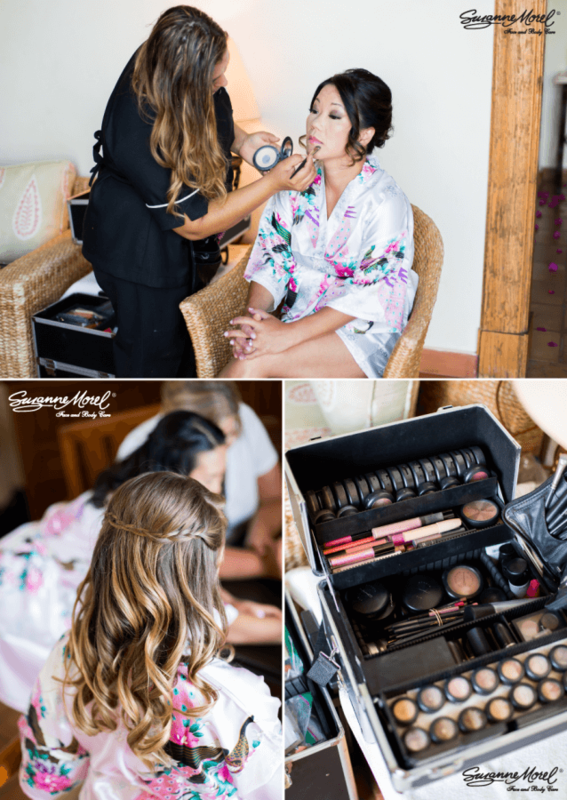 Bride Linda hosted her beautiful Cabo wedding at Cabo del Sol recently, and our professional hair and make-up stylists were on-site to help her look her best for her big day! 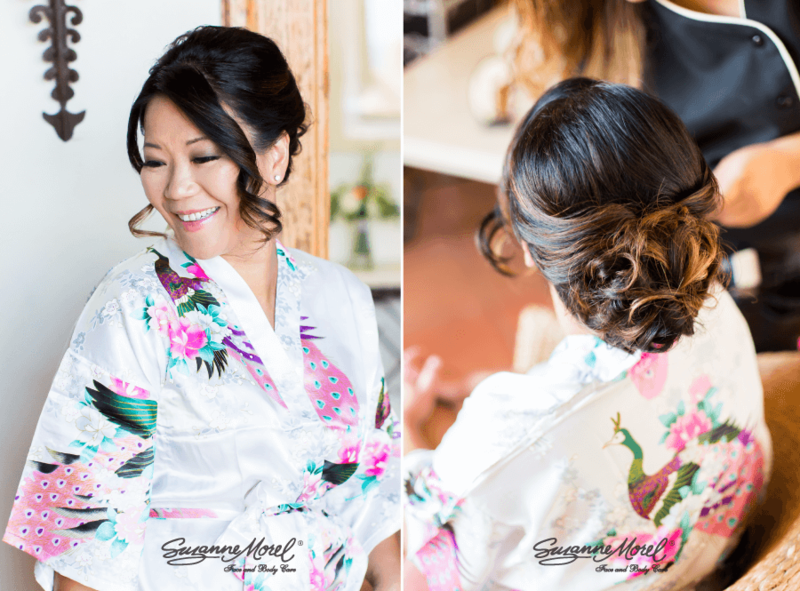 Linda wanted a simple up-do and natural-looking makeup for her wedding day. 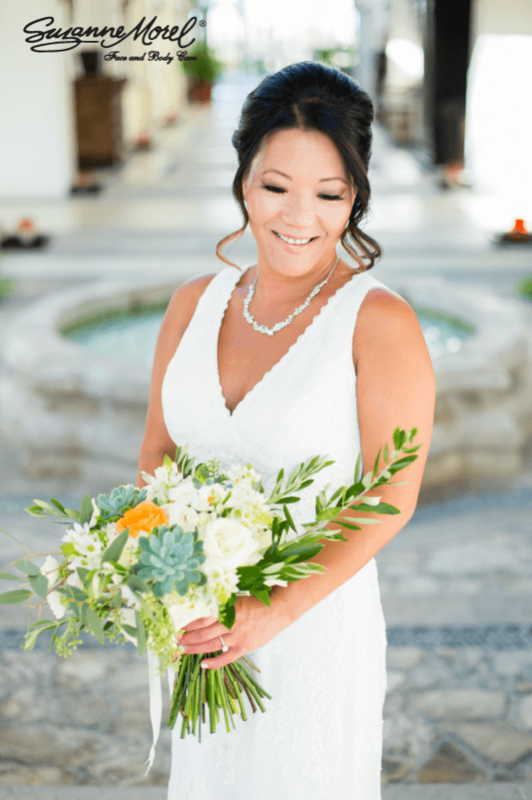 Our experienced team knew the ever-popular chignon with a few curls in the front would be the perfect hairstyle for Linda’s gorgeous beachside wedding! For Linda’s make-up, we started with flawless base coverage, and added just a touch of blush. Lightly lined brows, a bit of eyeshadow to add depth, and a fringe of black lashes were all Linda needed to look wedding-ready! To finish Linda’s make-up, we lined her lips and applied a light, natural lipstick that tied her bridal look together! 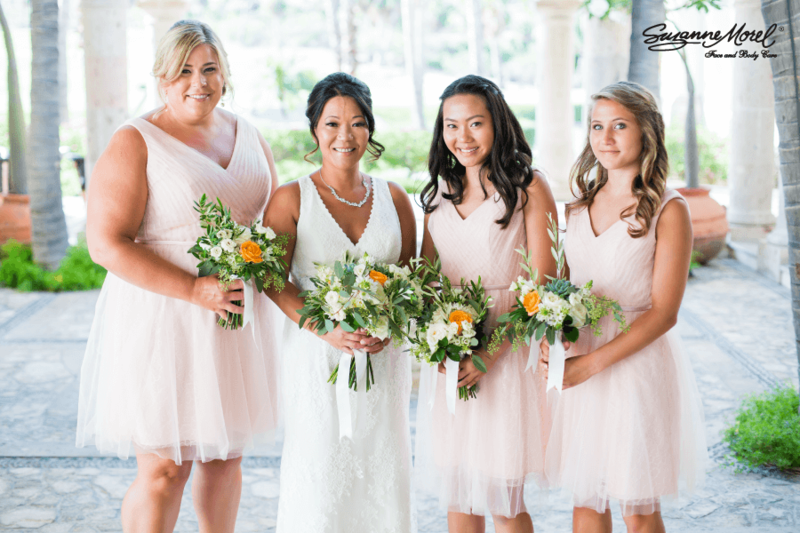 Remember, our expert team of stylists has more experience styling brides in Los Cabos than any other salon in the area! From natural looks to dramatic styles, we do it all in the privacy and convenience of your villa or resort. Contact us today for more information. 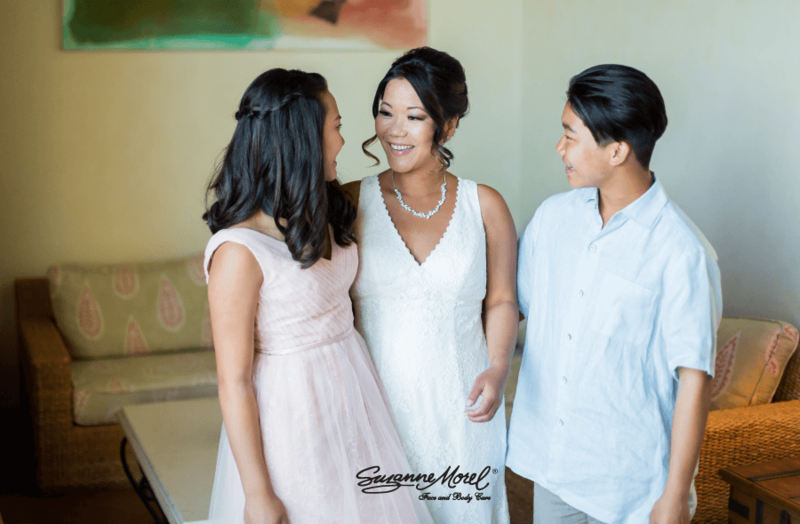 This entry was posted in Blog and tagged best bridal hair and makeup artist in Cabo, bridal party hair and makeup in Cabo, Cabo bridal makeup, Cabo bridal salon, Cabo wedding makeup, Chic wedding, destination wedding hair and makeup, find the best bridal hair and makeup in Cabo, happy with Suzanne Morel, professional hair and makeup services in Cabo, recommend Suzanne Morel, Suzanne Morel bride experience, Suzanne Morel makeup, Suzanne Morel responsive, Suzanne Morel Style Me Pretty, thank you Suzanne Morel, your Suzanne Morel experience.